I did it, my style mavens. I finally found the perfect travel bag. 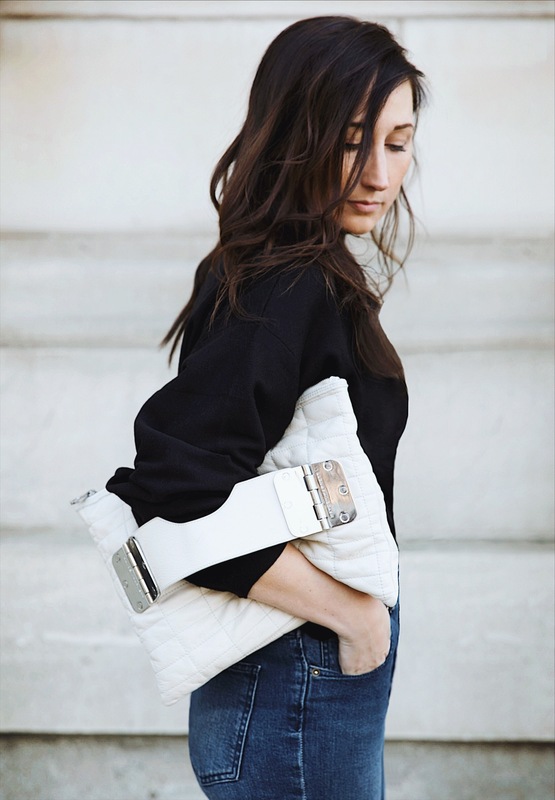 I mean, this Hayden Harnett clutch can fit all my gadgets, including my laptop (no small feat), and anything else I feel necessary to pack for a plane ride. Then, it transitions effortlessly into a chic accessory. Its large size makes it practical, but its quilted, vegan leather frame and side handle strap make it a completely stylish option, as well. This particular clutch accompanied me on the streets of Baltimore, last week. It was my companion at many coffee shops, restaurants and museums. It even made an appearance in the rare books room at the George Peabody Library. This experience was a total dream come true for someone like me who has a deep appreciation for the smell of leather-bound books, and is intrigued by the unique character that the book pages found in extremely old books carry. This clutch is just so stylish and practical that it makes packing your necessities around a new city feel like an easy decision. Especially when you are already dealing with the daily stresses of traveling. 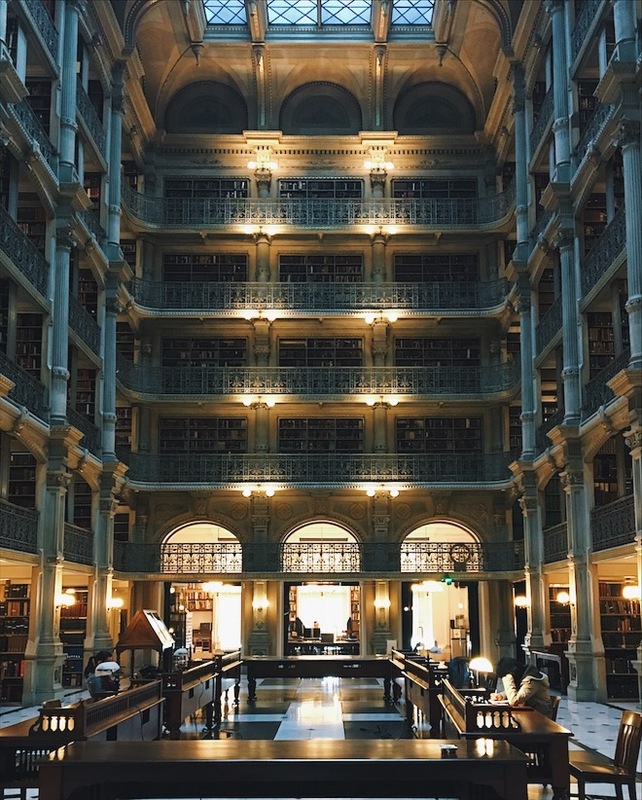 Side Note About the George Peabody Library: Imagine a library so magical that you literally feel like you just walked onto the set of a Harry Potter movie. There are multiple levels of books that can only be reached by climbing up flights of small, wooden steps. These multiple levels are all exposed to an open area that is framed by enormous, wooden tables that rest on a marble floor that was once used as a conductor for the heaters that were housed underneath of them. All books in the library are meticulously organized on shelves that date back to 1857. If there is such a place as heaven, I am quite sure that it looks something like this.